urbanbaby&toddler magazine: Toy's 'R Us: Who Will the Next CPO Be? Toy's 'R Us: Who Will the Next CPO Be? Testing and reviewing the hottest new toys and games, participating in media appearances across the country and receiving toy deliveries…it’s all in a day’s work for Toys“R”Us, Canada’s Chief Play Officer (CPO). With the search for the next CPO kicking off today, landing this dream job with Canada’s leading dedicated toy retailer will soon become a reality for one amazing kid. The CPO’s responsibilities will include participating in toy training sessions, testing the most sought after toys throughout the year and serving as a Toys“R”Us, Canada spokesperson. Other duties include sharing the latest toy trends through online and promotional videos, attending charitable events and riding on the Toys“R”Us float in the Santa Claus Parades. 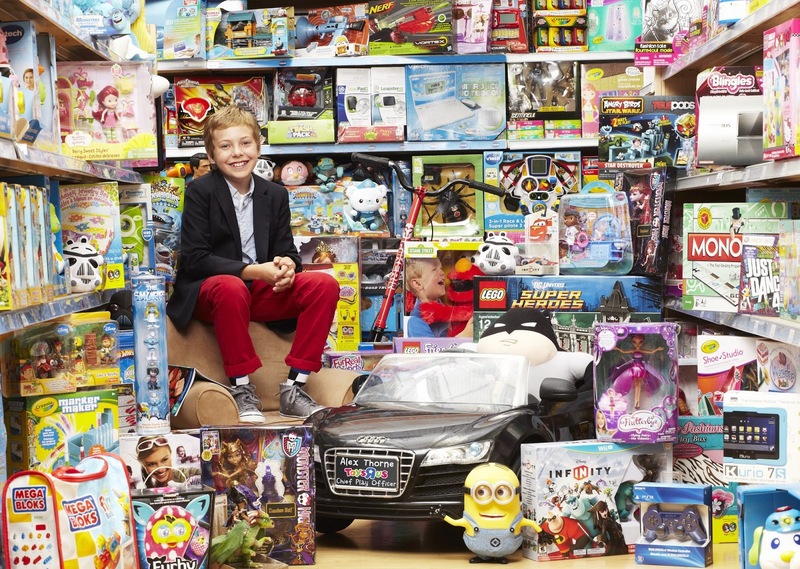 The search for the newest CPO comes as Toys“R”Us, Canada’s current Chief Play Officer, Alex Thorne, prepares to retire, so he can focus on high school. 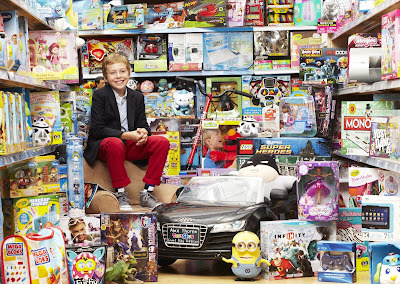 Thorne became the third CPO in Canada in August 2013, at the age of 11. His role will continue until December, when he will share his picks for the hot holiday toys of the season. Kids from across Canada are encouraged to apply with the help and consent of a parent or guardian, by visiting www.toysrus.ca/cposearch and submitting a short video showcasing why they should be Toys“R”Us, Canada’s next Chief Play Officer. In the video, kids are asked to talk about why they are passionate about toys and highlight their favourite toy, gadget or game. Applicants should be between the ages of 11 to 13 years old, comfortable on camera, confident, well spoken, energetic and most importantly, have fun playing with toys. All eligible videos will be evaluated based on originality, creativity and enthusiasm. To be considered, subject to the CPO search rules and regulations, entries must be submitted before 11:59pm EST on October 4, 2015 at www.toysrus.ca/cposearch. Finalists will be chosen to participate in an interview and audition with a panel of judges. The winner will be awarded a one‐year contract as Toys“R”Us, Canada’s Chief Play Officer. For more details and to view the official rules and regulations, please visit www.toysrus.ca/cposearch. This would be such a cool job! I would have loved to do this as a kid! I shared this with my friends who have older kids and hopefully they will apply!